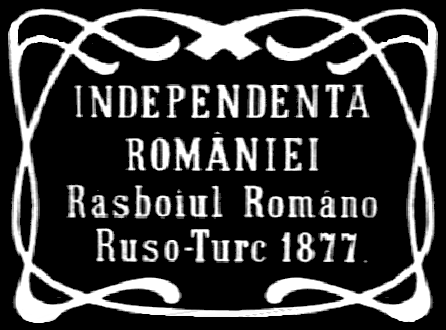 It’s remarkable enough that there was even a film camera in Romania in 1912, never mind someone with the resources and wherewithal to make and distribute a historical epic. The language barrier was minimal, since intertitles were used very sparingly, with long sequences introduced with only a few words, which I could often guess at from my knowledge of romance languages generally. There is no camera movement at all, and so far as I can recall the only medium shot was close to the beginning, where we see a peasant girl tearfully saying goodbye to her lover when he enters the army. Otherwise, the entire film was shot in wide angles, most shots being images of a battlefield, on which we watch the armies advance, fight, and retreat. There is no real effort to isolate characters or tell personal stories, although the high-ranking officers on both sides are named in the credits. This was clearly intended as a nationalist propaganda film, and it must have been reasonably successful or we wouldn’t have it around today, but for modern viewers it is mostly a curiosity piece.